At 18:34 the kids of the JC Wermelskirchen stood on the podium where minutes before the medal ceremony had commenced. A day full of cheering had ended. 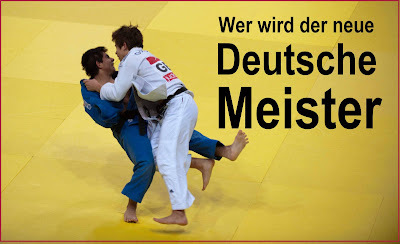 Now they cheer for each other in the same loud voice that has supported every German Judoka who took part in the Grand Prix. In a sport that is more known for “the gentle way” this crowd put life into the soul of everyone watching. 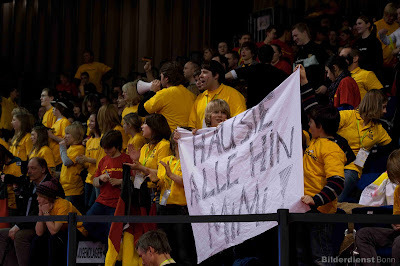 Heartfelt cheers for the local favorites, encouraging support for the unknown Judoka from faraway places. What a pleasant change from other, sometimes over commercialized sports where the “small fans” are often left at the sidelines. 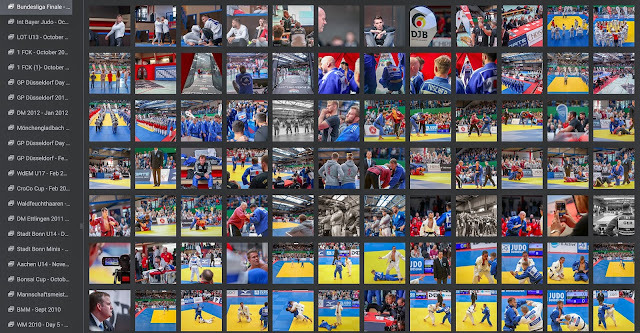 Where else would it be possible that two entire blocks of a top international event are filled with youngsters who use the opportunity to deepen their love for the sport and encourage their idols to win. And encouragement was sometimes needed. The “gentle way sport” prides itself with spectacular throws which look to the untrained eye like a potentially fatal attack, rather than a skillful execution of highly sophisticated art. Accidents are the exception when the two bodies smash together onto the mat. Years of training have made the athletes nimble like gymnasts and strong like bodybuilders. There were many emotional moments in Düsseldorf. Some on the mat, some off. The German Claudia Malzhan winning her weight class. The house rocked! Behind the scenes athletes, who are soon to be meeting as components on the matt, share tape to support their bruised bodies. A president of the federation who takes of his tie and jacket to help move mats at the end of the game. 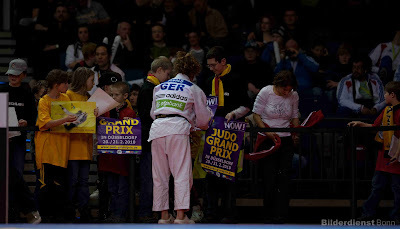 The young German judoka who having just suffered a deceive defeat, walks of the mat to sign posters of for the waiting youngsters before going off to take a shower. It is the support for another that makes these judoka so special. It is a place where everyone knows everybody and respect seems to govern. commercialization was part of the reason for moving the event from Hamburg to Düsseldorf. Time will tell if the pressure of the TV money will impact this sport in the same way it has impacted other professional sports. 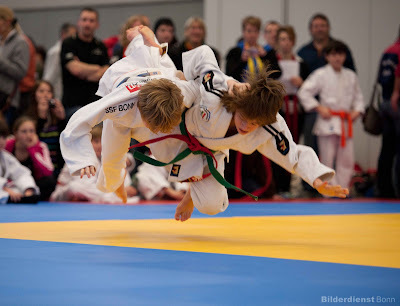 judokas train three times a day, six times a week over many years before reaching the top of their sport. If they are fortunate, they receive financial support. About 75€ per month. Try getting an aspiring young racing driver to go for that deal. 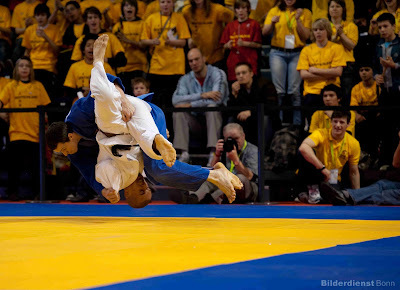 But judo is different. Here top athletes arrive by bike or tube to the competition venue. Say “thank-you” when their picture is taken and ask if they could see a copy. Refreshingly honest. Refreshingly encouraging; just like the cheers of the young judoka who filled the stands.